If you've followed this site, you are probably aware that I am a big fan of the Arca-Swiss/universal standard quick release clamp and plate system. What are the advantages of the universal standard quick release clamp and plate system? A lens plate-equipped lens or camera body plate-equipped camera can be very quickly and conveniently mounted to or removed from tripod heads, monopod heads, flash brackets and or any other mount (your creativity is the only limitation here) fitted with a quick release clamp. When multiple of the above are involved, the speed and convenience of these components is compounded. In this review, it is the Really Right Stuff Lever-Release Clamp component that I'd like to share with you. For over a decade, nearly all of my camera supports, whether Really Right Stuff brand or otherwise, have had RRS Lever-Release clamps mounted to them. Why choose the Really Right Stuff Lever-Release clamp over the many other options available? There are several reasons. First, I trust RRS' quality. RRS has built their business on the promise of having the highest-quality available and they know that their reputation is paramount. If an RRS product fails, that reputation will be tarnished and the value of RRS products will drop accordingly. Thus, RRS' quality control ensures that the failure rate of their products is as low as realistically possible. My camera gear represents a considerable investment to me and I often carry my gear by my support, frequently trusting the RRS clamp to hold my largest super telephoto lenses, especially hanging from my monopod. With over a dozen high-grade aircraft quality aluminum and stainless steel RRS Lever-Release Clamps in daily use (some for over 10 years), I have not experienced a single mechanical issue. It is nice to know that, if a problem does occur, RRS promptly answers the phone and stands behind their products (right down to promptly replacing a broken plastic cord cinch clamp on a ball head pouch if such fails). Along with being a high quality product, RRS Lever-Release Clamps are very well-designed. They are rounded in shape, making them comfortable on the hands and these clamps are especially advantaged by this shape when used on a monopod where my hand is often holding a tripod ring over the clamp. Being maintenance-free means that I have one less regular task to be concerned with. The design of the lever itself is another huge advantage of the RRS clamp. 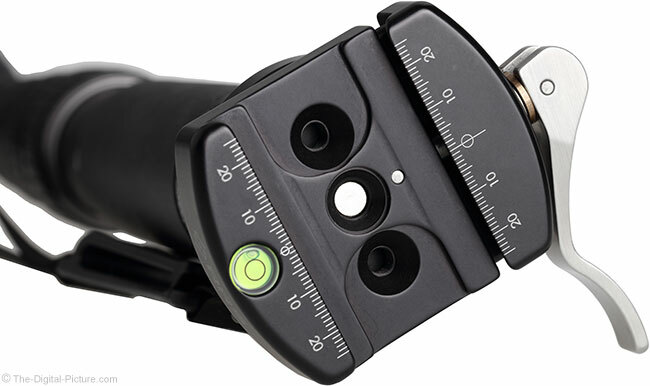 Though I try new clamp models regularly, I have not found another quick release clamp that surpasses the RRS model in design (though I will mention that Acratech's latest lever release clamp design is nice and that I did not replace it on my Acratech GP-s Ball Head). When closed, the solid stainless steel RRS lever tucks in around the clamp, placing it out of the way and removing it from harm's way. The stainless steel locking lever has just enough flare outward at its end to make opening easy, yet with the camera or lens plate typically protecting this area, I have never had anything catch and accidentally begin to open one of these levers. The locking lever has a full range of motion, but essentially stops (pressure reduces) in three positions – open, half-way and locked. In the locked position, as seen above, the plate is fully secured. A quick throw of the lever (faster than rolling a thumbscrew) opens the clamp, ready for a plate to be directly inserted into or removed from the clamp. Attachment and removal is very easy and that I often use these clamps in the dark makes this aspect important to me. Most balls head have a set of knobs and another important aspect of a lever vs. a locking knob for clamp control is that there is one less knob to get confused with. Turn the wrong knob and your camera can fall to the ground. With the lever in the half-way position, the clamp is tight enough so that the plate cannot be lifted directly out of the top of the clamp, but the plate freely slides within the clamp for adjustment purposes. Note that in this position, the plate will slide completely out of the clamp if safety stop screws are not installed in the plate. The pressure required to operate the RRS lever is surprisingly light for the 50lbs (22.7kg) of holding power it has at full compression (fully closed). Really nice is that RRS Lever-Release Clamps automatically adjust for compatibility with nearly all universal style plates including those made by RRS, Wimberley, Kirk, Leonard Rue Enterprises, Arca-Swiss, and Foba. Note that Arca-Swiss P0 Slidefix plates and plates made by Novoflex are notable compatibility exceptions. Price ... is perhaps the only reason you might want to look at an alternative product, but going back to the advantages of the RRS clamp, I don't see price as much of a factor. 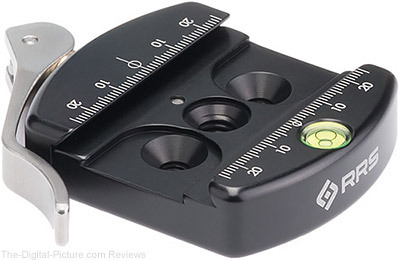 Considering what you paid for your camera and lens, the price of this clamp is likely a non-issue, especially considering that you are relying on the clamp to hold that valuable gear. Where specifically do I use these clamps? Most of my daily-use ball heads have RRS LR clamps installed. While many of these heads are RRS brand, a primary model wears another brand name. I have an RRS clamp mounted directly on my monopod (the Really Right Stuff B2-LR-II Lever-Release Clamp is shown above), allowing me to quickly attach a camera, lens or monopod head with a compatible plate designed into its base. All of our studio stands and mounts in the lab utilize RRS LR clamps. The above image shows a Foba DSS-Gamma Camera Stand and a Manfrotto 400 Deluxe Geared Head with a Really Right Stuff B2 LLR II 80mm LR clamp attached. Which Really Right Stuff Lever-Release Clamp model should I get? While, until that last paragraph, I had been talking about this clamp as if there is only one model, there are in fact a number of variations of essentially the same lever release design. 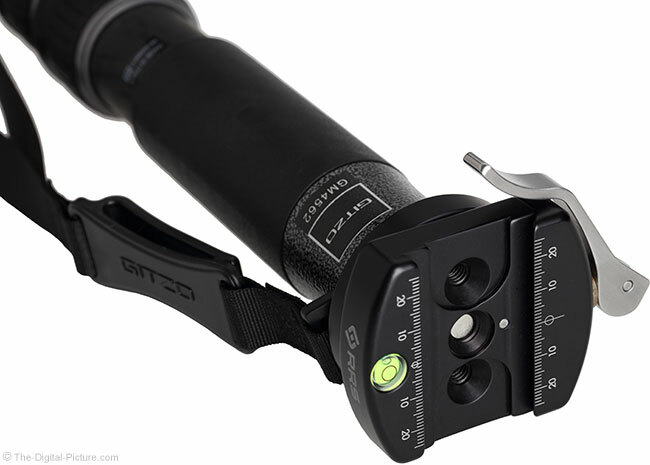 The different models allow for compatibility with a wide range of tripod heads and other support gear (such as studs, Arca-type plates/rails or anything that can be screw or bolt-attached). The table below will help you determine which model RRS lever clamp you need based on the clamp's intended use. Note that some ball heads, such as the Arca-Swiss Monoball Z1 (a personal favorite), do not feature user-replaceable clamps. Under some circumstances, a manufacturer authorized service center can replace the clamp for you. Before investing in an RRS lever clamp for this purpose, check with your ball head manufacturer to ensure your ball head features a replaceable clamp. 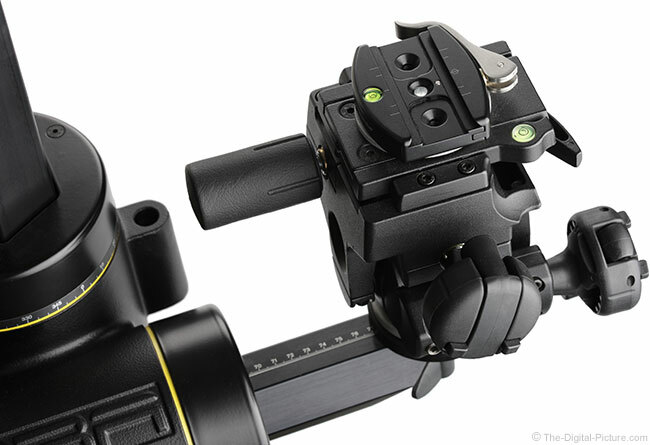 Are you using the Arca-Swiss/universal standard quick release clamp and plate system? If not, I highly suggest you begin doing so now. The convenience of quickly switching cameras and supports is really great and the time savings afforded by the quick attachment can sometimes make a time-priority image capture possible. 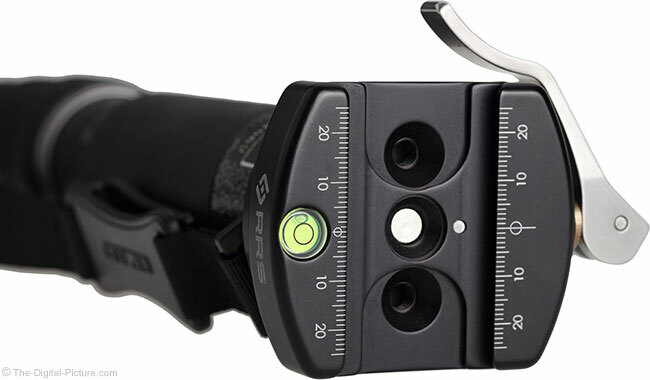 The convenience of switching cameras and supports with the throw of a lever is even higher and the RRS Lever-Release Clamp is really the best. When it comes to selection of your quick release clamp, I highly recommend this one, the Really Right Stuff Lever-Release Clamp. I've used Arca-style quick-release clamps for a really long time and have tried many different models. But, the Really Right Stuff Lever-Release Clamp remains my preferred option. While not inexpensive, RRS really nailed the design on this one and the quality of this product makes it a pleasure to use along with the importance of proven reliability. With roughly a dozen of these clamps in use from the lab to gear primarily used in the field, I have never experienced a failure. That reliability is especially comforting considering the substantial value of the gear oftentimes being supported by the clamp.